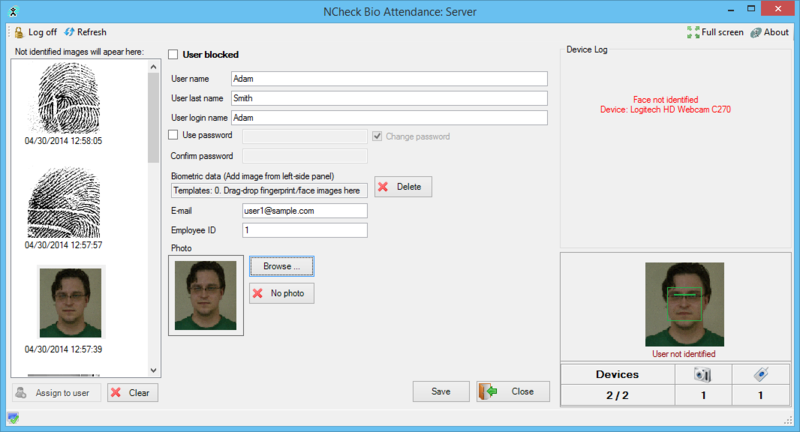 NCheck Finger Attendance, the automatic ready-to-use employee work-time control system with biometric fingerprint identification. Protection against human-factor errors or employee fraud. Several fingerprint per user allowed. Printable reports generation and data export to Excel or CSV. More than 65 different fingerprint reader models from 30 scanner manufacturers supported. Fast reliable operation based on NIST MINEX compliant software engine.